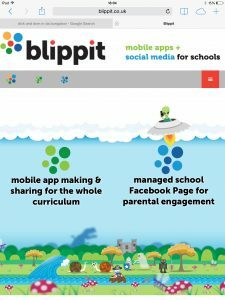 To make life a bit simpler we’ve now brought our mobile and social media work together under one brand name; Blippit! SocialSchoolMedia is being retired as a name only; the service and app will continue to grow and improve. Getlogged.in will also retire as a website but will continue to be the company behind the development and growth of Blippit. We want children, young people and schools to enjoy working in innovative ways achieving real outcomes and while having a fantastic time along the way leaving no one behind! Blippit GO has been retired now and replaced with Blippit Torus which available on the Apple and Android App Stores. Who is Blippit Go! for? This app is for any Blippit App Maker Administrator and their Team. You’ll need a Blippit Admin account to log in and use it. It’s a new member of the Blippit Mobile family. You can now approve, decline & preview apps much more easily when you’re on-the-go in class or out and about. As the Blippit family grows we’re bringing in a new look and feel to reflect how Blippit is changing! Planet Blippit has a new look & Blippit Go! carries the new branding.